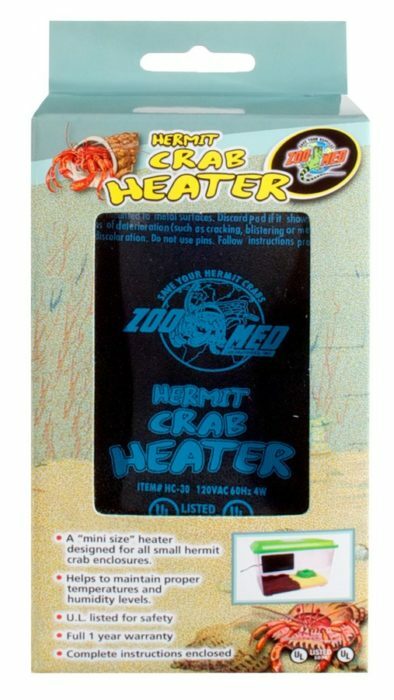 Hermit Crab Heater | Zoo Med Laboratories, Inc.
A 4 watt adhesive heater that is UL approved for plastic “keeper” type cages. Raises the ambient temperature in small terrariums about five degrees. A: The Under Tank Heater can be placed underneath the tank or on the side of the tank depending on your set up. If you choose to place the heater on the underside of the tank, be sure to elevate the tank slightly using the included “bump-on feet” or another method to prevent heat encapsulation. Please be sure to read the instructions carefully.